Observed every year on March 11, World Plumbing Day was created by the World Plumbing Council (WPC) in 2010 to “highlight the important role played by the plumbing industry in relation to public health and the environment.” The WPC believes there is a significant connection between quality plumbing systems, health, sustainability, and economic prosperity, and the council works hard to encourage those within the plumbing industry to continue to find ways to improve the quality of and access to fresh water. 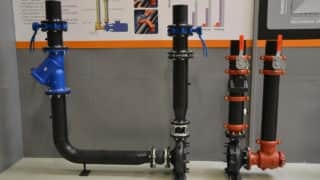 As a key player in the “quality plumbing systems” portion of this formula, Victaulic is celebrating World Plumbing Day by sharing a brief video on its wide range of joining and flow control solutions for potable water piping systems in any environment. 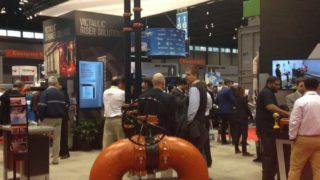 Engineering Fellow Dave Hudson explains that no matter the pipe material used – copper, stainless steel, CPVC/PVC, HDPE or galvanized carbon steel – Victaulic has a joining solution for ½ – 24”/DN15 – DN600 plumbing applications, and its NSF certified products are agency tested and approved for use in potable water systems. 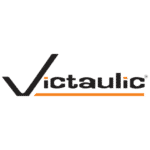 Watch the video below to learn more, and visit Victaulic’s Potable Water Solutions page for a full list of available products.